Realistically, the shorts kind of make this outfit... but I actually took them off right after taking this picture and changed into longer jeans. Also, these are my prom shoes! (which won't be seen at all, because my dress is full length...) I wanted to show them off anyway; they're pretty comfy and super wearable to other fancy events. Also, update! I'm heading to this beautiful castle next year for university. CRAZY. 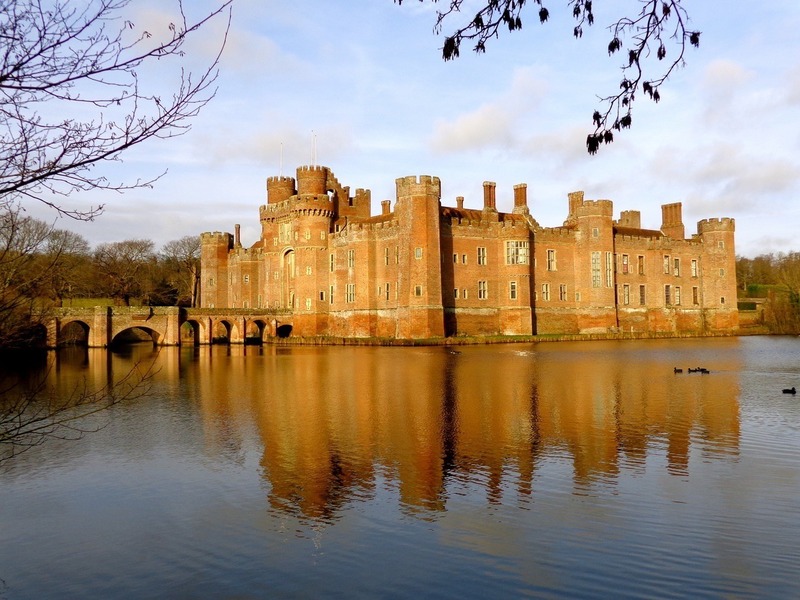 Herstmonceux Castle, also known as the Bader International Study Centre of Queen's University. It is located in East Sussex, England! I promise to keep up my style blog next year, and take beautiful pictures around this castle. I can't even wait. Lastly, I'm working two jobs... so there are going to be days where I'm only going to be in my work uniforms. They're not pretty... Fewer outfit posts, I'm afraid. Starting September though, it'll be better - I'll have to work out how to make beautiful outfits from a lot less clothes than I'm used to. To everyone who has school still, hang in there! Everyone else, hope you're having a great summer! An idealistic, tree-hugging, eighteen year old's path to establishing her personal style and learning from the process, as well as getting through day-to-day life and travelling through Europe.